Scientists have been brainstorming cool and useful ways to use the hot new gene editing tool CRISPR, ever since it showed up in the early 2010s. The technique, which can correct or introduce mutations in the DNA of a wide range of organisms with precision, has already been used to tinker with the genomes of viruses, plants, animals, and bacteria. So when biological engineer Kevin Esvelt, from the MIT Media Lab, suggested in 2014 that we could harness the technology to trigger a natural phenomenon known as “gene drive” to quickly spread genetic edits throughout wild populations over many generations, conservationists saw it as an option to get rid of invasive species. But today, Esvelt fears he may have opened Pandora’s box. In high school, we learn that when an egg is fertilized, the resulting embryo will receive half of its genes from the dad and half from the mom. But gene drives arise when, for various reasons, a particular gene or mutation has a greater probability of being inherited by the next generation, overruling the typical 50-50 pattern. With the help of CRISPR, gene drives can also be designed in the lab. Suppose a mutation makes an organism infertile. Use CRISPR to make that gene more likely to be passed on, and you’ve got yourself a shiny weapon that can eventually crash the population of a target species. Now think about using that weapon against some of the world’s most hated pests — rats, for example — and you have a powerful and efficient way to wipe them out for good. 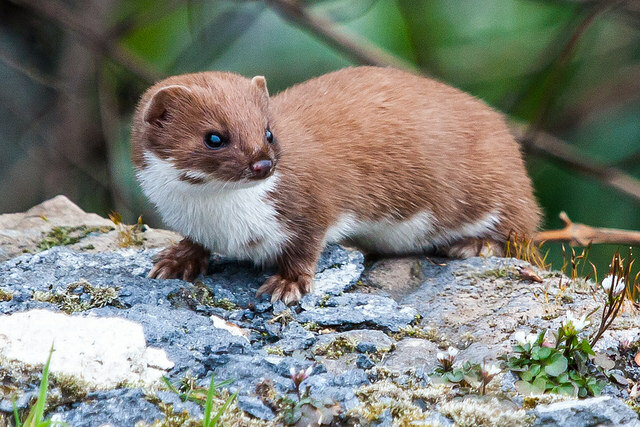 No wonder, then, that two years ago New Zealand’s government invested $13.7 million in a program to get rid of the island’s rats, possums and stoats by 2050. The kiwis plan to engineer gene drives to eliminate these invaders, which prey on millions of native birds, lizards and invertebrates annually. New Zealand’s Department of Conservation calculates that invasive predators kill around 25 million native birds each year. That’s a shitload of dead birds, but still “a conservative estimate,” according to their website. The announcement has sparked enthusiasm in other islands around the world, such as Hawaii and the Galápagos Islands, which are looking to replicate the experiment and eradicate their own pests. But according to Esvelt himself, this hype needs to stop. He has even called his initial suggestion to use gene drives in conservation efforts a mistake. The problem is, how do you stop a gene drive you’ve set loose on the world? “Making a standard, self-propagating CRISPR-based gene drive system is likely equivalent to creating a new, highly invasive species: both will likely spread to any ecosystem in which they are viable, possibly causing ecological change,” he and geneticist Neil Gemmell, from the University of Otago, New Zealand, wrote in a PLOS One paper last November. The US has an elaborate, interdepartmental regulatory system to evaluate new genetically modified foods and crops. In 2016, the USDA sponsored a committee to consider future regulatory policy for upcoming genetic modification techniques. With the help of the US National Academies of Sciences, Engineering and Medicine, special interests groups met on April 15 to contemplate the possible advancements in genetic engineering within the next 5 years and potential policy regulations that would need to come into play. With the emergence of rogue genetic engineers employing the technology, the FDA has begun issuing new regulations.